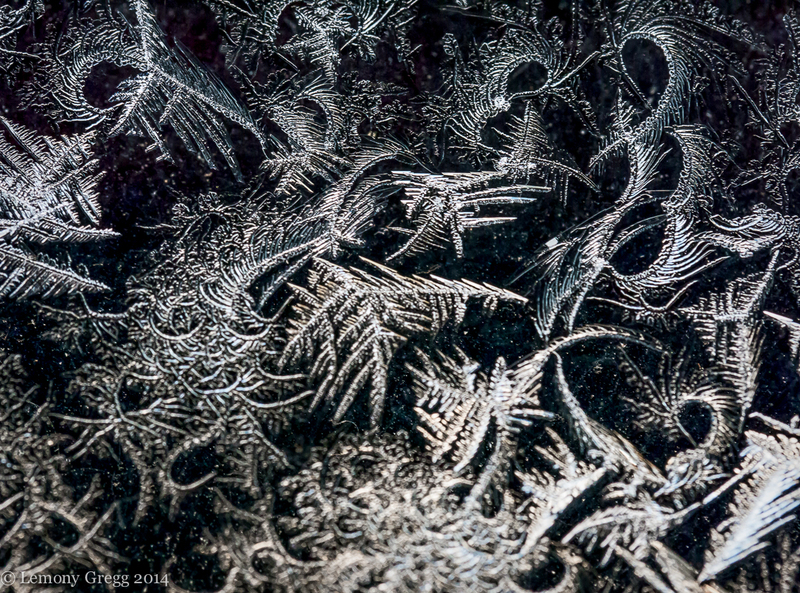 Frost on a garage window. Frost in a window with a very slight boost to the color. I used a piece of black foam core outside the window (breaking a mirror and almost breaking my neck in the process) to bring out the flames of the frost.